As Bethel Music introduces their new brand for kids with the debut album, Come Alive, they invite the next generation to experience worship and live in wonder of God. With reimagined songs meant to get kids dancing and praising in every hour of the day, the high-energy worship is ready to kindle fire in a whole new audience. While the idea of a Bethel brand directed for kids has been simmering for several years, it truly emerged on the foundation of worship already present in the community. Kiley Goodpasture, Creative Director, explained that the children are being raised in an environment where they understand God’s presence and they understand how to celebrate with each other in a pure and profound way. When Bethel began to consider making this dream a reality, they did not have to manufacture something; they simply captured what was already happening in the worlds of these kids. With stories, props, lighting, colors, and all the lively surprises woven through the songs, Bethel celebrates the idea that when something is authentic, it is naturally moving. The performers themselves – singers and dancers – made the project a success. Bethel Music is a branch of Bethel Church, and all of the kids that participated were friends from the local church. Bethel hosted two different audition days for the dancers and ended up with thirty-three kids whose friendships grew through the worship and recording of this project. The glimpses of friendship are best captured in the first video shot. An opportunity to film in the Redwoods weeks ahead of schedule surprised the team. With a flurry of logistics, suddenly, they were filming in one of the world’s greatest stages. For the first time, the dream came to life. As the kids waved flags, the team realized they had reached the point where the vision for kid’s worship had morphed into something beyond them. 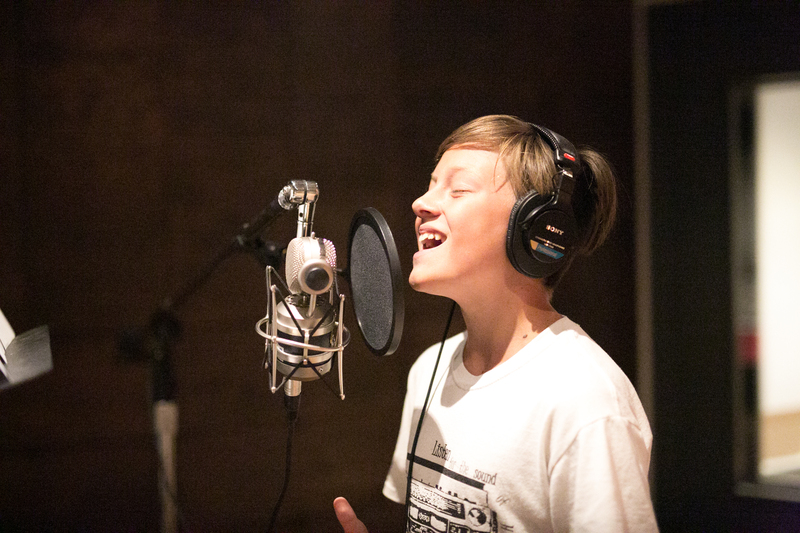 Seeing the children connect and break into other songs between takes, Goodpasture realized they were overflowing with passion. The friendship and the message were contagious. On another day of filming, Bethel had hired a drone operator, and after his allotted time had come to an end, they noticed he still hovered around the shoot, watching. When Bethel asked him why, explaining that they were not able to pay him overtime, he responded with a request to continue watching because he was so impacted by the kids. He stayed for two consecutive days. That weekend, he visited Bethel church, encountered God, and gave his life to the Lord. This story captures the essence of the project. The hope behind the song and dance is that the family’s idea of worship will be expanded. Bethel hopes to connect to the heart of a normal kid while bringing stories with vitality and vibrancy to the home. Therefore, the video progresses through a day in the life of a kid. Songs were selected with messages that would feel authentic in a child’s voice and serve as an anthem for any hour in a child’s day. After applying research and instinct, classic Bethel songs were given a dancy, electropop feel with lyrics simple enough for a child to understand but profound enough to minister to the heart. Fred Vassallo, who moved from New York with his wife several years ago, teaches dance and hip-hop classes at Bethel Christian School. With his choreographed hip-hop already in place in the lives of Bethel kids, the translation to music videos created a pathway to even greater opportunities. Bethel plans to launch dance tutorials on their website. 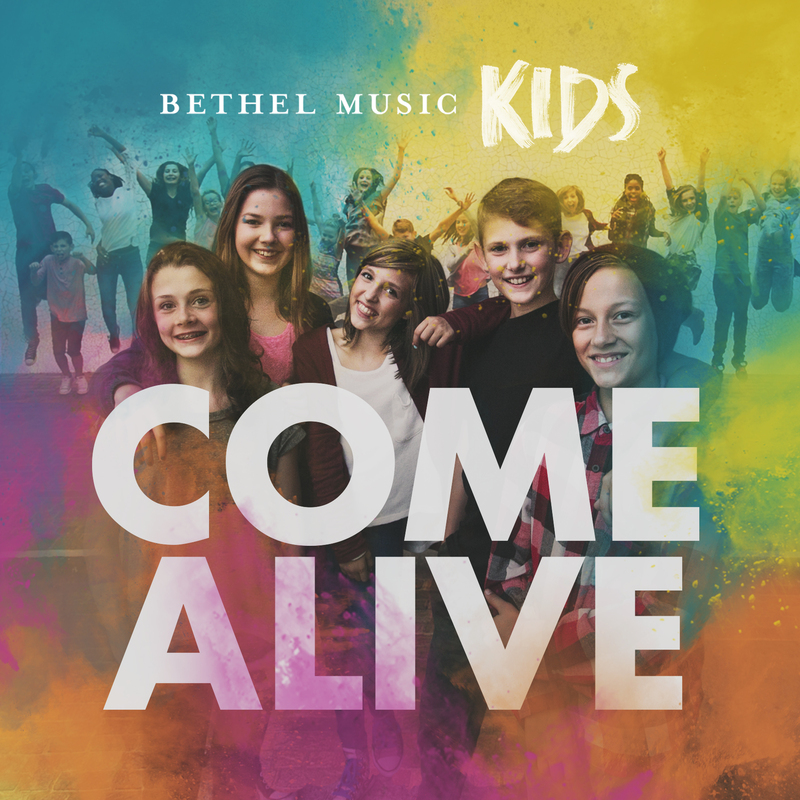 Along with dance videos, Bethel also plans to release videos of the original worship leaders connecting with the children who sing their songs on Come Alive. Celebrating the connection, they are making a deposit into the next generation and sharing it with the world. This is not a simple album release; it is the launch of brand that is steeped in hopes and dreams. Plans are already in place for future work, including the possibility that the next album could include original songs. 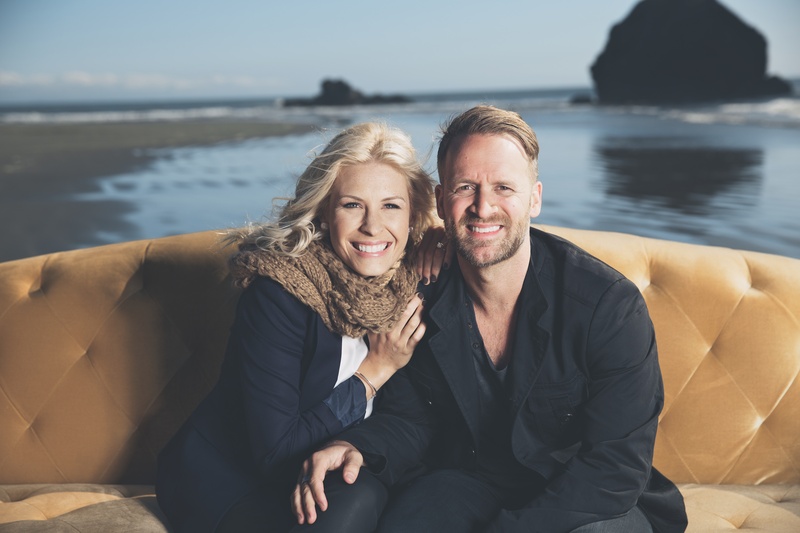 For Bethel Music, this project was the first of its kind – an experiment that involved faith, risk, and, of course, fun. These characteristics of risk and fun were experienced in the filming of the ‘Ever Be’ video featured on Come Alive. 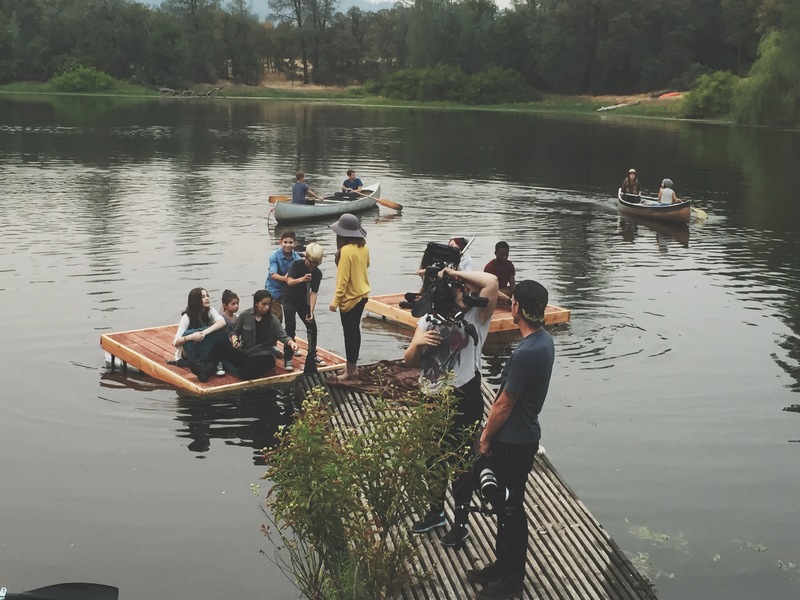 The kids were sent off on homemade rafts and canoes, and once they were out on the water, the production team lost much of their ability to direct them. Only one or two of the kids knew how to actually paddle. The moment was captured successfully, and the laughter of those still on the shore personified this memory-in-the-making. The kids eventually returned to the dock,and the video ends with a family campfire scene. A project of this magnitude requires hope, trust, and a little bit of paddling unaware into the distance. But when a group of kids and their leaders step out in faith, laughter, zeal, and beauty overflow. This project is more than just a way for families to connect over something pure, more than a series of professionally choreographed dances, and it is even more than friendships growing stronger. In the creative depiction of children praising their Father; it is a glimpse of eternity. THE ALL-NEW ANIMATED SERIES AND INTERACTIVE DIGITAL APP FOR KIDS DEBUTING OCTOBER 20th! Adventures in Faith and Fun Take Flight As Kids Learn About Nature and God’s Word with the“Owl-Star” cast of Professor Owlester and His Students! Spy House Productions and Gundersen Entertainment announce today the launch of Owlegories™, the brand new gospel-centered animated series and interactive digital app that teaches kids about God through the amazing things found in nature and revealed in God’s Word. With the highly anticipated series debut October 20th in both Christian and general market retail stores, Owlegories™ Vol. 1 – The Sun, The Seed, and The Water will be available at Walmart, Lifeway, Family Christian Stores, local Christian bookstores, online and more, through Capitol Christian Distribution. Following the success of the Owlegories first interactive storybook app created for families by the Boto family (Thomas, Julie and their four young sons), the Owlegories series features engaging storytelling, high quality animation and an “owl-star” cast of endearing characters, including Professor Owlester and student owls Violet, Gus, Joey, Nora and Twitch. Each lesson focuses on an element of nature that helps teach children about the characteristics of God and the truths found in His Word through the effective use of allegories, metaphors and analogies. Highlights from each episode include the opening Owlegories theme song—with lyrics by Julie Boto, Thomas Boto and award-winning film composer/producer Mark Menza and music by Mark Menza (Jimmy Neutron: Boy Genius, Dragon Ball GT, Beet and Wishbone), pertinent Bible verse corresponding with each adventure, the “Owl Pledge” and a recap of the lesson, as well as the series key saying, “God loves you, and God loves me. He gives life to all we see.” Each episode is followed with a special message from a different Christian leader to help reinforce the lesson and further spread the gospel. Owlegories Vol. 1 features Dr. Tony Evans, Author/Blogger Jen Wilkin and Pastor Matt Chandler. Episode 1: The Sun: On the first day of class with their new teacher, the students take to the desert in search of a rare, ancient artifact. Following this mysterious tool through the desert, the owls begin to discover ways in which the sun is like God, and the students discuss the ways in which the Creator of the Universe can be known through his creation. Episode 2: The Seed: While visiting Yellingstone National Park with Professor Owlester, the students are on a quest to discover what makes seeds grow. Following an exciting scavenger hunt and making use of some helpful seeds, the owls discover that their faith can grow when properly nourished and cared for, just like the seeds! Episode 3: The Water: While on a quest to hunt down the foundation of life, the owls have to band together to discover this secret destination. And in so doing, they also learn about the ways in which God, the Creator of all things, is like water! In addition to the Vol. 1 DVD series and interactive app, Owlegories TV may be downloaded as an app to any tablet or smartphone to watch the latest episodes. Kids can easily navigate to their favorite episodes and see previews of other available shows and upcoming episodes. Owlegories is ad free and safe for the whole family, so parents don’t have to worry about inappropriate content accidentally being viewed by little ones. Furthermore, Owlegories will offer a fun, effective and interactive way to help young children memorize God’s Word with the release of the Owlegories Memory Verse app coming later this year. 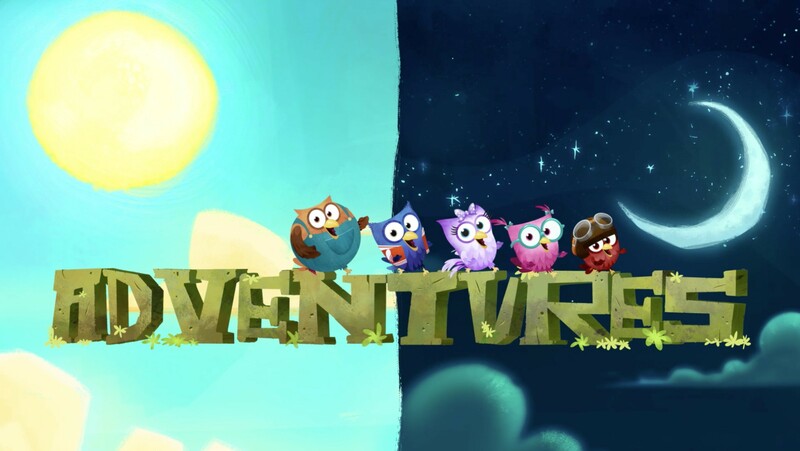 In the app, which features a number of different and silly voices, kids hear Bible verses as they try to catch the owls as they fly, run and jump around the screen. Kids can also play a memory verse scramble game to help learn the order of the verses and more. Owlegories is a new animated series and interactive digital app that teaches kids about God through the amazing things found in nature and revealed in God’s Word. Thomas Boto and his wife Julie, with the help of their four young boys, are the creators of Owlegories and the original interactive storybook app on which the animated series is based. “You can tell a lot about an artist by what he creates” is the premise behind Owlegories. Taking inspiration from the series banner verse, Psalm 19:1-4, Owlegories addresses the important theme of creation and explores the nature of God as the Creator of the Universe through the use of allegories, metaphors and analogies. For all the latest information on Owlegories and the launch of Owlegories Vol. 1 – The Sun, The Seed, and The Water, go to http://www.owlegories.com/, https://www.facebook.com/Owlegories and https://twitter.com/Owlegories. Nashville, Tenn. (July 14, 2015) –This summer, Shae Shoc Records will release its first children’s album by Scripture Snack Kids titled Fun Size, Vol. 1 on July 31, 2015. Aimed to help kids memorize Bible scripture, the 20-track album features the vocal talents of Grace (6) & Joy (8), daughters to Dove Award Nominee Beckah Shae and famed producer Jack Shocklee. Stemming from Shae Shoc Records’ previous Scripture Snack albums, which featured Beckah, the proud parents wanted to ignite their daughters’ gifts, while helping other kids their age grow in their relationship with God. Scripture Snacks fills the gap by memorizing scriptures in the form of a song. Fun Size, Vol. 1 by Scripture Snacks Kids is an a cappella album, consisting of kids vocals along with critically acclaimed singer Beckah Shae and producer Jack Shocklee’s (tobyMac, Group 1 Crew, Montell Jordan) spin on pop driven melodies and low bass vocal percussion. With 10 tracks breaking down various scriptures from “The Ten Commandments” to “Fruits of the Spirit”, the project also includes instrumental karaoke tracks to each song to put listeners memorization skills to the test. Fun Size, Vol. 1 will be available on iTunes ®, Amazon and other digital platforms and in select Christian retailers throughout the nation. 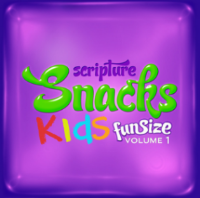 For additional information on Scripture Snacks Kids, please visit scripturesnack.com. Nashville, Tenn. (February 17, 2015) — Come October, fans will get the chance to set sail on the Duck Commander Cruise to the Bahamas with their favorite stars from Duck Dynasty, and with a “Kids Cruise Free” promotion this month, February may be the perfect time to book the trip. The promotion gives two passengers of any age free cabin fare when they book a shared room with two paying customers. This could save guests up to $1,000 per room with the third and fourth passengers only paying taxes, gratuities and port fees. The promotion ends February 28. Click here for more information. The cruise will feature Robertson family members such as Phil, Si, Miss Kay, Jep, Jessica, Alan and Lisa as well as Justin Martin and John Godwin. This trip will provide guests with the unique opportunity to hear exclusive “behind-the-scenes” stories from the cast while enjoying a relaxing PREMIER cruise aboard a Carnival Victory ship. GRAMMY®-winner Ricky Skaggs and “God Bless The USA” writer Lee Greenwood were recently announced as entertainment for the cruise, along with Comedian Heath Arthur. 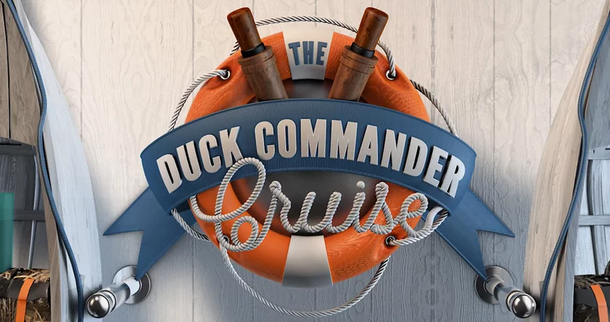 The Duck Commander Cruise will depart from Miami and sail to Nassau and Freeport, Bahamas while giving guests the chance to interact and play a variety of games with the “Duck Dynasty” cast. Events include Miss Kay’s cooking show, Phil preaching, games with Si, marriage classes with Al and Lisa, and more. Booking for the cruise is now open, and the “Kids Cruise Free” promotion runs through the end of February. To reserve your spot aboard the Duck Commander Cruise or to learn more, visit duckcommandercruise.com. 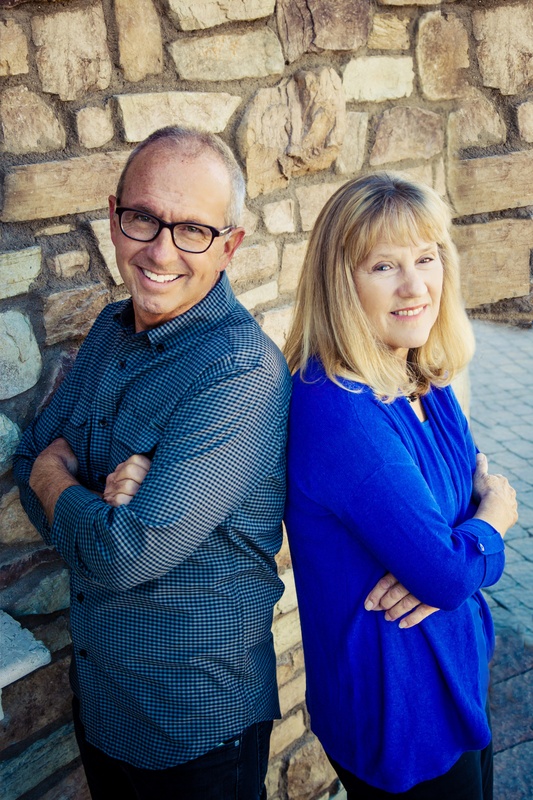 (CLOVIS, California) — Heritage Builders Publishing has announced that it will publish the Embarrassing to the Max childrens series by award-winning illustrator Scott Nelson. 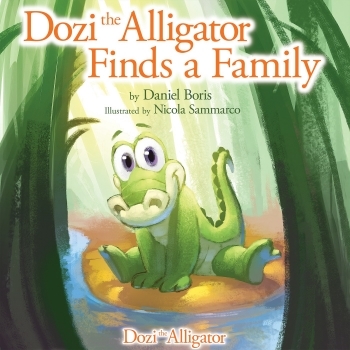 The first book in the series, Dozi the Alligator Finds a Family, will be released on March 15, 2015. Everyone has to deal with embarrassing moments at some point in their lives. To children though these moments may shape how theyre perceived for years to come. From bullying situations to lack of confidence, the ramifications of a bad day at school, on the field or even in the home can have profound consequences. The Embarrassing to the Max series showcases awkward body function stories and tries to help young readers see that subjects such as pants wetting, nose picking and throwing up happen to everyone at some point in their lives. In My Tummy Disaster, our main hero loses his breakfast as the class chorus sings My Country Tis of Thee. Will concealing the mess with a Tuba be enough or will the Crazy Barfing Kid now need to skip school forever? The readers will be surprised when they see who the class actually roots for. 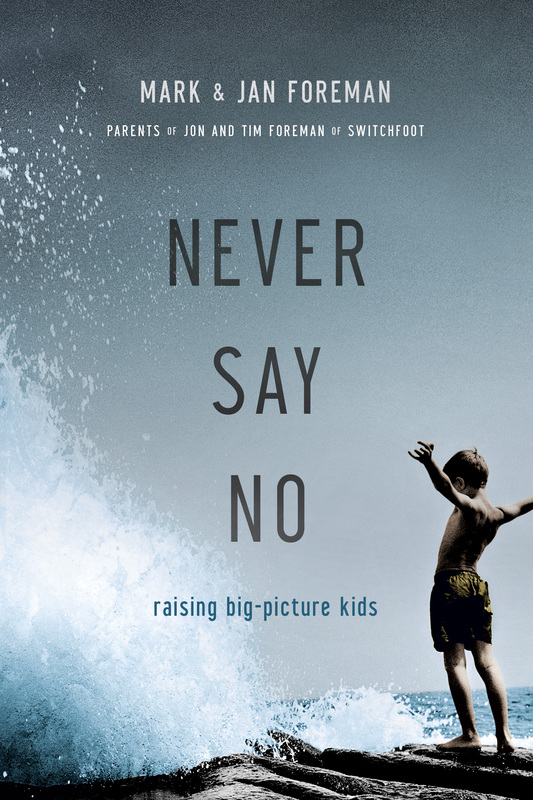 This book, the first of a multi-volume series, uses humor to show kids how to avoid feeling shame and humiliation for natural acts that happen to all of us some time or another. The self-confidence gained is a natural defense against verbal bullying. 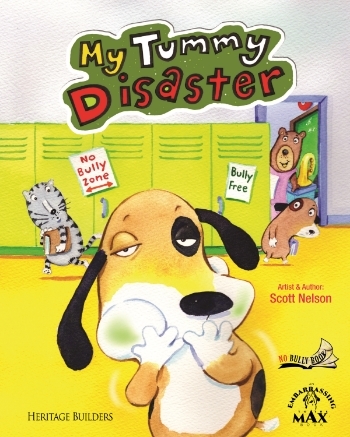 My Tummy Disaster addresses embarrassing moments and bullying through humor, creating a valuable learning experience for young readers and their parents alike. Scott Nelson has been a full-time freelance illustrator, cartoonist and author since 1987 working with notable greeting card companies such as American Greeting, Hallmark and Golden Books for Children. 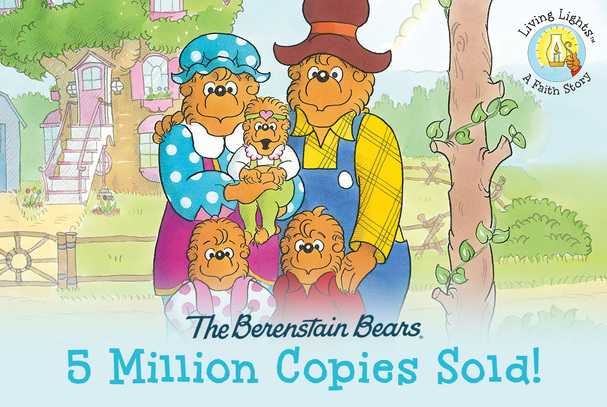 Along with coaching soccer teams and teaching art in the public school system, hes illustrated nine books and won the Mom’s Choice Award in 2006. He lives in Milbury, MA.